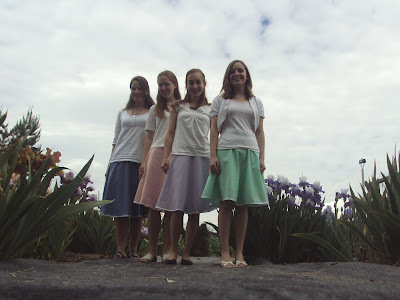 We wore the matching skirts Anna had made for a dance production. Having some fun with different angles. You young ladies look like flowers yourselves and you sprouted out of that garden!